Over the past year, Paul Dillon (senior associate at Baird’s CMC) has taken on the communications challenge related to disability in the context of development. He has been working closely with a UK-based organisation that represents numerous disability groups. 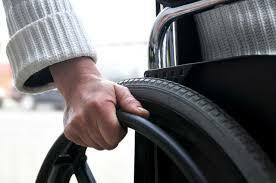 The organisation also has an interest in disability perception and rights within the wider global community. In 2008, we saw the ratification of the UN Convention on the Rights of Persons with Disabilities, which marked an enormous step forward with regard to the rights and awareness of people living with disabilities. The Convention also pays particular attention to the link between poverty and disability. As regards funding, most disability organisations receive a majority of their funding from governments. However, due to the massive reduction in budgets, they are seeing a dip in state funding and are finding it increasingly difficult to provide their services. The challenges ahead include redefining their roles, business structures and organisations – perhaps even generating new streams of revenue from completely different sources, nationally as well as globally. In a global context, it is imperative to ensure that a percentage of the funding for aid and sustainable development makes its way to the area of disability, where the need is great.